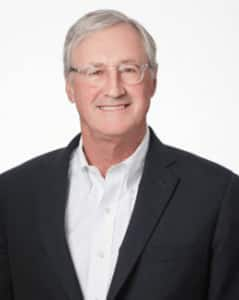 Mr. Allan R. Dragone, Jr., also known as Al, was selected as FleetPride Chief Executive Officer in March 2016 by the company’s Board of Directors. Most recently, Mr. Dragone served as the President and Chief Operating Officer of GCA Services Group, Inc. until January 2016. Prior to GCA, Mr. Dragone served as Chief Executive Officer of Unisource Worldwide Inc. from February 2004 until the company merged and was taken public in 2014. He also served as the Chief Executive Officer of Graphic Communications, Inc. until the sale to Bain Capital and incorporated into Unisource Worldwide in 2003. He has over 30 years of executive management experience in leading large, national companies in the service sector. Mr. Dragone started his career with Champion International in 1978 and served in various roles, including Vice-President of Sales and Marketing for International and Newsprint. In 1998, he left to lead Graphic Communications. Mr. Allan Dragone, Jr., has an undergraduate degree from Middlebury College and an Master Of Business Administration from the Amos Tuck School of Business at Dartmouth College.